Within hours of Category 3 Hurricane Windblown hitting the county of Sorland, rumours started to spread among the affected population. Had the floods caused by the strong winds dislodged landmines from the surrounding fields and washed them into the areas where people were now seeking shelter? And, amid the chaos caused by the natural disaster that left more than 600 people dead and many thousands more displaced, were children being trafficked? Among the first responders having to deal with the concerns of panicked locals were staff from several major UN agencies, NGOs and government and military representatives, as well as students from the UNU-EHS Joint Master’s Programme. And offering reassurances to the victims was just one of their many responsibilities; they were also tasked with helping build shelters for displaced individuals, ensure proper sanitation, oversee the logistics of food and water deliveries and liaise with the media. Fortunately, Hurricane Windblown was only part of a simulation exercise and the ‘victims’ just actors. 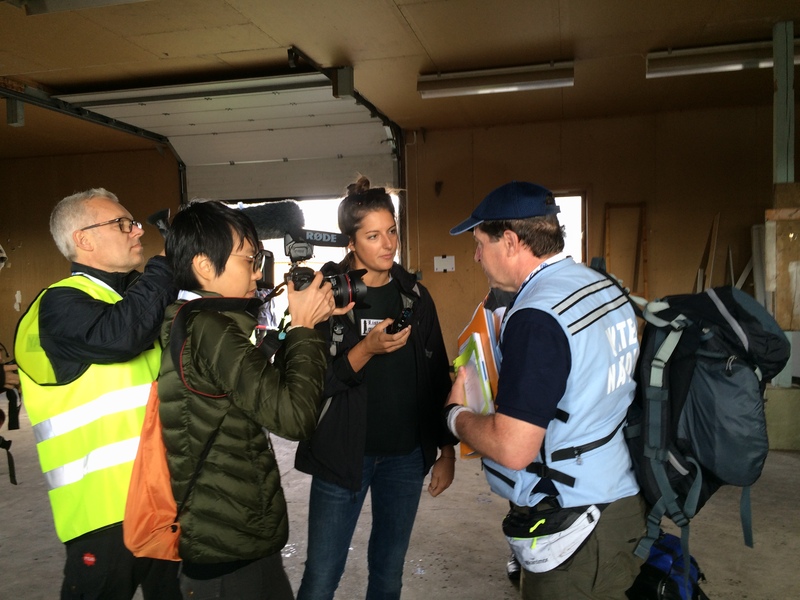 In reality, Sorland was the town of Lista, in the south of Norway, which, between 24 and 30 September, played host to TRIPLEX 2016, the world’s largest civilian humanitarian response exercise. In all, some 500 people from 77 nations and more than 40 different international organisations took part in the event. 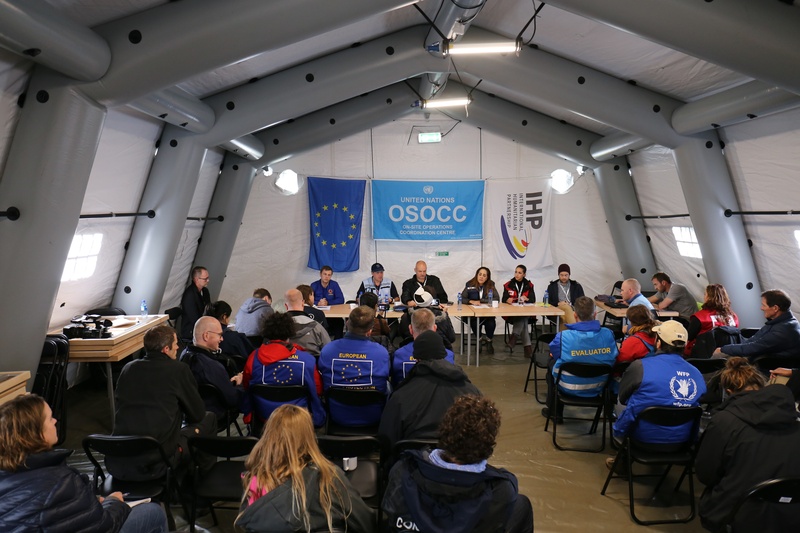 The simulation exercise was organized by the Norwegian Directorate for Civil Protection (DSB) and other partners of the International Humanitarian Partnership (IHP) and the UN Office for the Coordination of Humanitarian Affairs (OCHA), with financial support from the European Union Directorate-General for European Civil Protection and Humanitarian Aid Operations (DG ECHO). IHP represents a coalition of eight different disaster management organisations from across Europe, including the UK Department for International Development (DFID), the Danish Emergency Management Agency (DEMA) and the Swedish Civil Contingency Agencies (MSB), the Estonian Rescue Board (ERB), the Luxembourg Rescue Services Agency, the Crisis Management Centre Finland (CMC), and the German Technical Relief Service (THW). THW also kindly offered the transport of all Joint Masters students as part of the official convoy deployed to Norway. For the international agencies, the five-day exercise served as the opportunity to rehearse a coordinated response to a sudden-onset emergency scenario in a developing country, both in terms of working together and working to their own specific mandates. 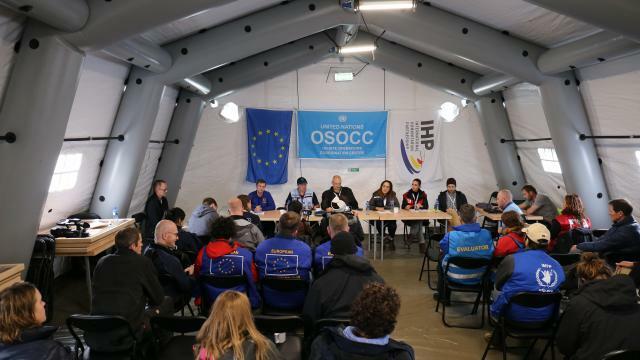 For the UNU-EHS Joint Masters students, meanwhile, TRIPLEX offered the chance to gain valuable, first-hand experience of every aspect of humanitarian aid and civil protection response to a disaster. Liliana was one of a small team of Joint Masters students to be given media responsibilities. The media team of UNU-EHS was also supported by a professional cameraman from the German broadcaster Deutsche Welle. Their tasks involved everything from capturing photographs and film footage as the disaster response unfolded through to interviewing agency heads, most notably at the main joint press conference, held on the fourth day of the exercise. Other students, meanwhile, were given different mandates, ranging from working to provide food and shelter to victims displaced by the disaster to treating the sick and injured. 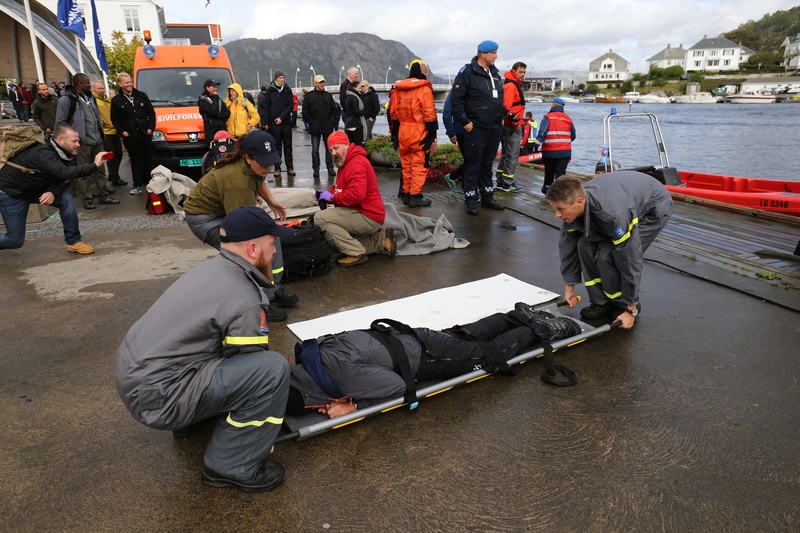 At the same time, all of the UNU-EHS team present at TRIPLEX were also required to role-play different scenarios, including being rescued from freezing waters. UNU-EHS Education Programme Director Dr Joerg Szarzynski was also actively contributing to this event, as participant of the overall evaluation group and as panelist of the preceding workshop that took place one-and-a-half days before the start of the simulation exercise. 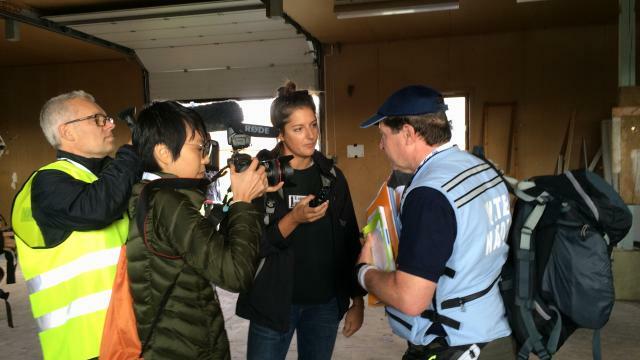 Dr. Szarzynski is an active member of the United Nations Disaster Assessment and Coordination (UNDAC) team, which is part of OCHA´s international emergency response system for sudden-onset emergencies.